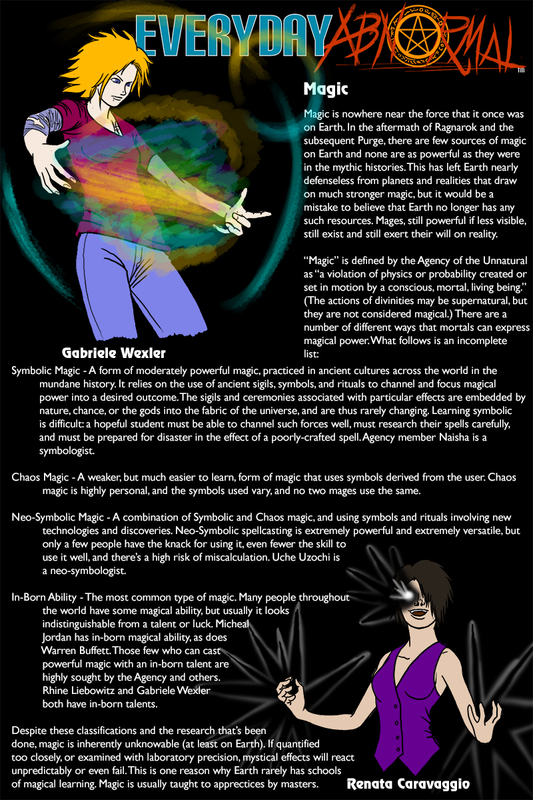 A short (and nowhere near comprehensive) look at magic in the world of EverydayAbnormal! As you read this, I will be back home in Montana (provided the upload-on-date feature works properly). Happy Thanksgiving, all! So observing magic throws it off? Hmm. Point a powerful enough sensor array at a mage and watch their magic crumble! As soon as someone invents the long-distance electron microscope, all mages everywhere are boned! Just use the electron microscope that horse races use. "I'll take a horse burger, horse fries, and a horse Coke." "Horse Pepsi okay?" "Neigh."